PurAcell insulation contractors are specialists in commercial spray foam insulation. The product used by our approved contractors for commercial use are POC™500 open sprayfoam PCC ™2000 closed sprayfoam insulation by Puracell. The most common product used in commercial applications is PCC ™2000 closed sprayfoam which is a light-weight solution that is perfect for large structures like sheds, warehouses, and farm buildings. It is an eco-friendly commercial spray foam and is a long-lasting commercial insulation solution. There are times when POC™500 open sprayfoam is used in commercial applications. Our experienced sprayfoam installers will assist you in this process. The POC™500 open sprayfoam is a breathable form used in attic spaces where it is important to have a breathable foam. It is usually used in conjunction with a 'vent card'. This is a card which is fixed 50mm under the felt/membrane, allowing airflow between the PurAcell application and felt, preventing any build-up of stagnant air. 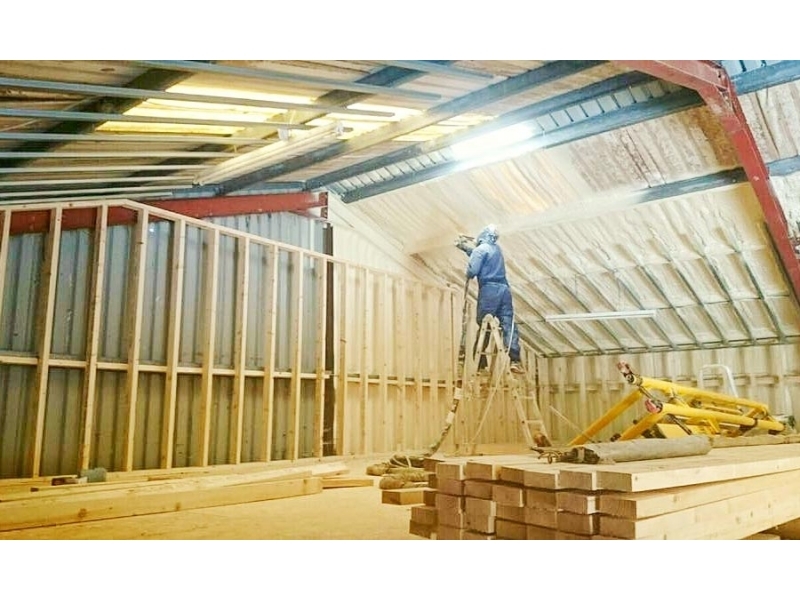 Be sure to consider PurAcell commercial sprayfoam insulation when deciding upon what type sprayfoam or insulation material to use in your commercial premises. The contractors have the equipment to cater for large and small projects and are fully trained and experienced. If you want superior insulation, sprayfoam products that continue to perform without degeneration, and to avoid future costs, then PurAcell commercial sprayfoam solutions is the right solution for you! Heating a commercial premises is a major cost to any business. This is why it is important to reduce heat-loss, and PurAcell sprayfoam is perfect for doing just that. 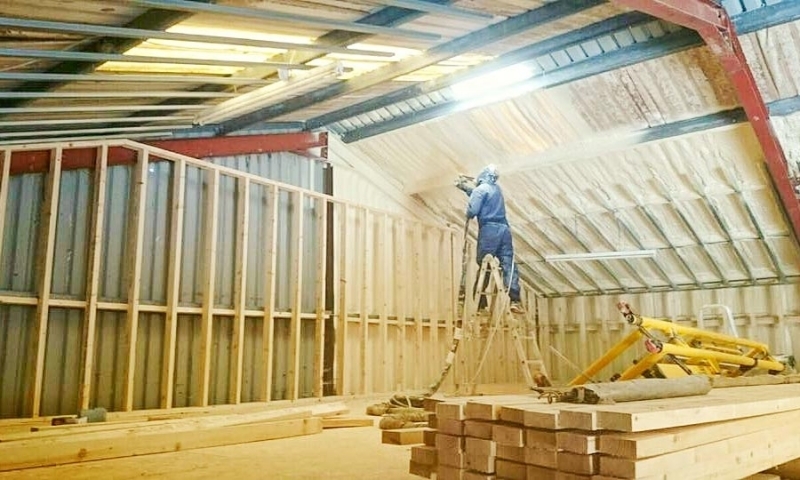 Project managers and developers throughout the world are now using our sprayfoam insulation on commercial premises everyday, and we see this trend increase every year. The system is commonly used on the roofs of commercial building above suspended ceilings. With energy conservation in mind, the U-Values and R-Values are much better in the long-term using PurAcell than any other form of insulation for a commercial premises. There are many advantages and benefits when using our commercial sprayfoam insulation. We have a proven track record of professionalism and a high-quality sprayfoam insulation system. Our nationwide network of contractors also have the most up-to-date technology for applying the sprayfoam insulation in commercial properties, ensuring you get the fastest, most efficient, and effective results.